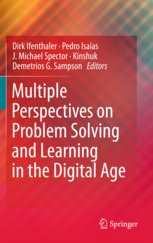 I had some time of reading the three pdf files i got from Sebastian Fiedler to elaborate personal learning contract ideas. I have taken some notes from these and here is what seemed interesting. Most of the learners have no operational language with which to analyse, reflect and evaluate learning. This language needs to be personally meaningful to mediate learning processes. When people leave the learning communities, they take away part of the community practice. The construction and reconstruction of learning process of each individual is unique. 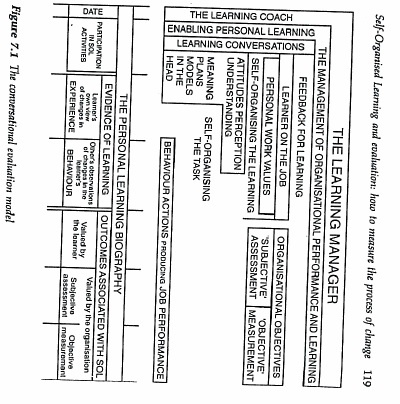 All this process is channelled into specific domains and work-settings becaming related wth on-job learning. Can the learning conversation be objectively externalised by someone else and yet keep the meaningful operational language for the person? Would it mean that if this other is more knowledgeable person of the community, then what is developed, is the identification and ownership gaining process to the knowledge and practices of that certain community? It seems that personally meaningful and meaningful for the learning community needs to be negotiated to get ownership of certain learning practices – the learners are expected of noticing learning events the way it is conventional, and then we claim it is also personally meaningful. But is learning so objective process? Following the new understanding of the nature of scaffolding it is never one-directional process, but bidirectional. Both the learner and the supporter need to have a comprehension of each other’s intentions and the operational language they use for explaining learning events. This makes me to think of networked communities in general and sort of unintentional scaffolding what happens when people read and comment each others knowledge artifacts. 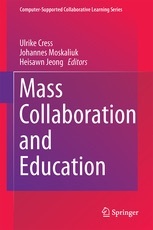 Each of them comes with the set of its own operational language and competence for learning (how they analyse, reflect and evaluate), which constrains and narrows down their learning experiences to the overlapping area of competences and language (all this semiotics and intersubjective knowledge ideas also work in gaining the competence from others). The learning conversations consist of three kinds of dialogues: the process, support and referent dialogue. Here again the possible problem is that without operational language and without the knowledge of effective learning practices it may be difficult of monitoring and analysing. Can it be done self-directed manner without any support from aside..i believe it is possible, however then these steps, what are meaningful for the learners in their self-observation and learning from ones’ own learning will seem totally meaningless to some person from aside who comes from another self-directing tradition. Can we think of multiple perspectives or multiple voices of how self-directed learning phases can happen? For sure it is context dependent and situated process which should not pressed to the constrained deductive kind of frames. 2. The support dialogue enables the learner to cope with the effects of becoming aware of own learning processes. It is mentioned that becoming aware makes performance worse initially and this scares the learners back to their routine practices. To facilitate, the anxiety and tension must be reduced and the learners need to start trusting the learning situation which gives them more freedom to experiment and take risks in trying out new strategies. This anxiety can be reduced at on-job learning conditions where peer-support, resources and space are provided. Reading this part, i remembered the example from Nonaka and Takeuschi about designing the city cars. The “tall boy” metaphor was externalised and it helped to develop totally new kind of car – but i think what happened in this example, was the lessened anxiety in the situation where people could freely suggest the metaphors and play with them, which increased creativity and helped to reate new knowledge that was implicitly there in the community. I believe people must be encouraged of keeping and developing their own very personal operational language and startegies of self-organising their learning. What lessens anxiety is knowing there is no commonly accepted ways, but the dynamic development into your own way and trusting this way and improving this way of selforganisation while being openminded to revise it. The total uptake of deductive ways, what the purpose-strategy-outcome-review process is might not suit to half of the people. If to think of this situation from the semiotic perspective, then again what we actually suggest by support dialogue is choosing between using strange frames of analysing known things or analysing strange things with known frames. Both will enable to see things differently, because people must translate in the areas which does not have an overlap. 3. The referent dialogue aims at defining the referent as a set of criteria against which learners can begin to assess their competence. This is the process where persons themselves need to identify appropraite criteria amongst wide range of referents. One way it is suggested to happen is of copying the standards of community members as referents. In online communities i guess to identify these standards is not that easy as in formal education system. Can we extract some universial standards of good self-directed learning competences without letting go the idea that all learning is contextualised into certain settings. Can we simulatneously swich from one set of standards to another set of standards if we contextualise what we do into different settings. Do i as a self-directed learner have multiple sets of standards? In this chapter the initial idea about learning contracts is introduced. In learning contracts the learner and the teacher would agree with a set of rules what they agree to follow, these will be negotiated and mutually agreed and then followed. This refers to the bidirectional scaffolding contract. One aspect of scaffolding is left out that is the fading out kind of actions which emerge dynamically and i doubt this can be contracted some ways. I don’t think the contract idea was actually using this kind of scaffolding ideas. Why i wish to learn something, what is meaningful for me? What is my strategy to achieve it? What is the order of my actions? How do I know that i was successful? What worked and what did not? They also point out that often the learners face learning opportunities in which the inconsistency between the initial strategy of the task and the effective strategy is at present. Again, it is needed to think what is meaningful? I don’t think it is a universally common and objective property. What are standards? I believe that the rating of what is relevant and what not for one person may be completely different than for another person. Especially in the learning situations when this contract serves for some observation and support purpose for the tutor, these issues must be negotiated. Would any online community use this kind of standards? Few days ago i was reading about closed poetry community blog, where certain people have been chosen by the community leader. This community facilitates their creativity by offering some kinds of prompts (images, situations). They also comment their achievements. Can we see it as a contract? In this case these members are purposfully trying to enhance their inspiration as a community. In the book the iterative process of revising this contract with the help of the instructor is described. Person is prompted to review what were the strenghts, weaknesses of implementing the strategy and what would be the future steps. Again, this has to be learner-centered elaboration, rather than pressing the lerarner to the tutor’s path of learning strategies. 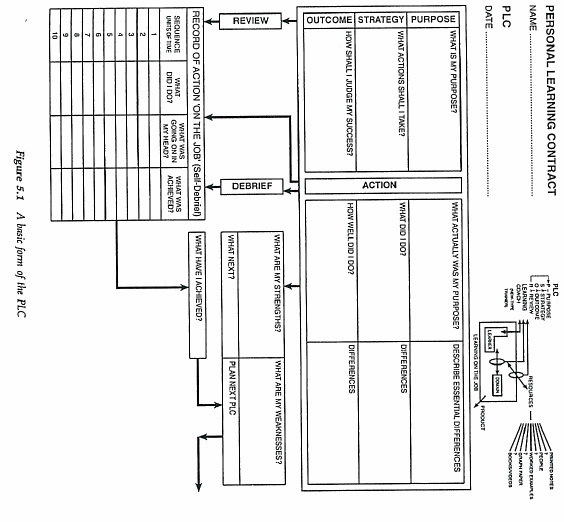 Recently i had to review a paper what intended to look at how did teacher’s implement e-learning into their instructional design and whether they used some Instructional Design model steps. The authors interviewed the teachers, and analysed whole dataset having ADDIE model in mind, thus probably the Instructional Design steps, that the teachers’ really had in mind, were left unintended and changed to the common and objectivist simplification. This exaple suggest that the evaluation of one’s strenghts, weaknesses has to be taken using one’s own meaningful set of referents as the set of criteria. The learning contracts must support personal differencies and encourage people to be unique in the ways how to learn, not create some unified sets of criteria and strategies what garantee effective self-development. CH 7. Self-organised learning and evaluation how to measure the process of change. What i really like in this chapter is the idea that evaluation has to take into account the learner’s subjective perspectives. I have elaborated the learning contracts in the community in the previous blog entry. These are my preliminary impressions of the book chapters. 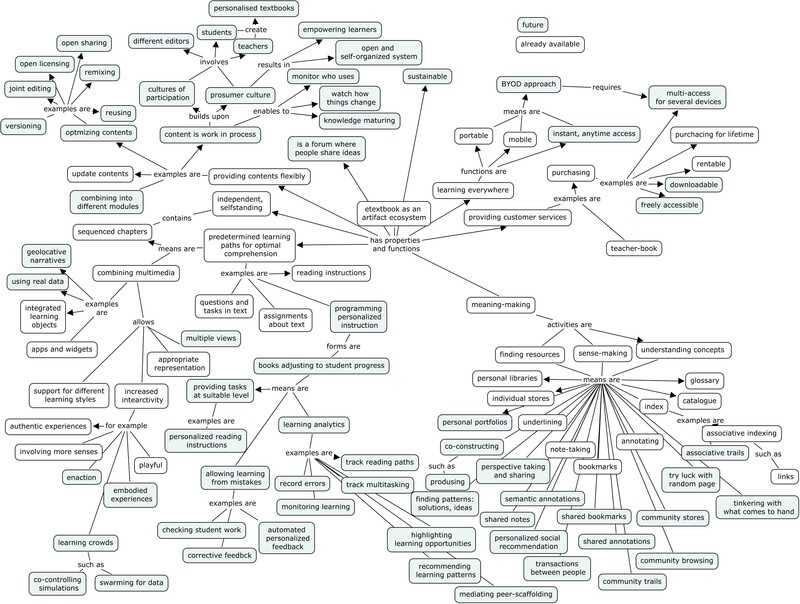 I would like to do some thinking relating it with the distributed activity system ideas. 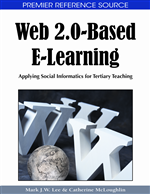 Affordance based Instructional design for web 2.0 settings where individual learners have the freedom of choice of tools, using the same learning design. Comments are in the previous blog entry. Why behaviourist approach must be favoured? Tutor to the student: I agree with you that constructivist learning paradigm is effective and innovative in case if it isnt too much information. However, if the amount of information exceeds certain limit, not everybody is able of constructing/selecting important information. This case behavioural approach is very handy. I like it..but i don’t believe in it. However, the evaluation comission works in wiki. Is it a sign that new winds have arrived? In a way it is a very good opportunity to get overview of the activity patterns the LMS systems afford and of course of the creativity of our tutors. I plan to take a lot of snapshops from different pattern elements and use them to illustrate our collection of patterns. But not before some weeks, so far it is in this stage. This repeated pattern says: read this text and then do your exercise and upload it to the forum. And what happens then? Nothing! What i can see so far repeating patterns over and over again until the students will loose activeness in forums is very common. The Dynamic User-centered redefinition of the Distributed Activity System Affordances in Web 2.0 Learning Designs. This figure is quite preliminary and we hope to make it better – more precise and visually more appealing. 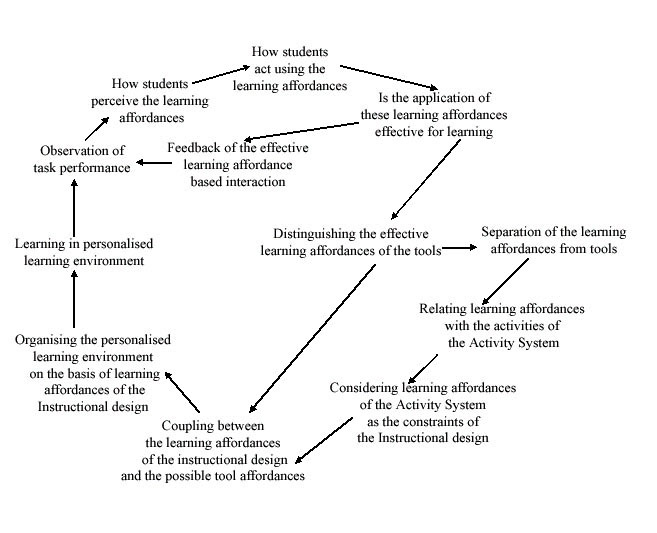 The analysis of learning affordances in iCamp Trial enabled the development of the user-centered affordance-based Instructional Design model for the distributed activity settings. 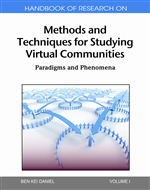 This model takes into accont that the affordances of the tools, as well as, the affordances of the Distributed Activity System what is the basis of the new Instructional design, must be inferred from the user-behaviour evaluation. The learning affordances, which the learners perceive emerging in their interaction with the tools in certain activities must be evaluated in respect to their effectiveness for learning. 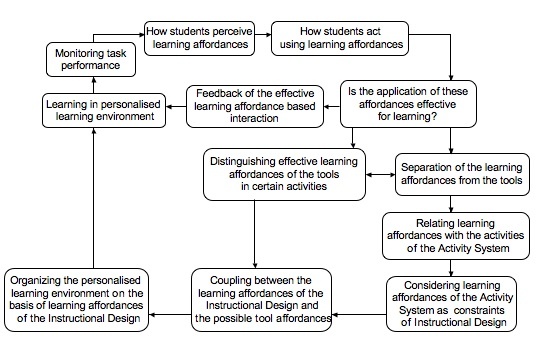 The results of this evaluation can be used for: a) giving feedback to the students for indicating to the problems in their shared affordance perception of the learning environment for effective learning, ii) deducing, which are the fuzzy sets of user-defined learning affordances, that characterise each Web 2.0 tool, when performing certain activities, iii) separating the affordances from certain tools, and relating them to the activities performed in the knots of the Activity System. The two last steps of the affordance based Instructional Design model enable the coupling between the learning affordances the instructor has defined as part of the Activity System with the free selection of web 2.0 tools on the basis of learning affordances, which they support in certain activity settings. Our study indicated that the learning affordances of Instructional Designs, which favour the personalised application of Web 2.0 tools, must be defined on the basis of users‘ perception in concrete activity settings. The tutor has to observe and evaluate the dynamic process of the emergence and attribution of learning affordances to the certain web 2.0 tools in different groups and give feedback if the group faced problems in establishing the common set of learning affordances for the tools of their Activity System. How to observe the different students‘ perception and application of the learning affordances of the tools in different learning activities dynamically during the activity? How can the tutor measure the effectiveness of the applied learning affordances of the tools from the task perspective, and give feedback to the student groups to enhance their perception of affordances of their Activity System? How to support the learners in establishing concensus in the affordances of the tools during the certain activity? We have been preparing the new course for distance education technologies in web.2.0 with Terje starting from April in Tallinn University. The idea of the course is to teach the affordance-based learning design model and let the students to build self-directed and collaborative distributed learning environments from web 2.0 tools and describe one learning pattern in both environments, using the affordance-based activity pattern approach. We will see how it will come out. The course blog is not totally ready, and it is in Estonian, however, there is something what we plan to do. are affordances properties of the environment? Yesterday we had a discussion with Mart about whether the affordances are the properties of the environment (or tools). On my understanding the properties are felt rather objective characteristics, and thus i argued that affordances cannot be the objective properties of the environment (and tools). My understanding of affordances relates them rather with the interaction in the activity systems (where of course tools, context and environment are involved as constraints). Affordances are emergent by nature. However, Mart pointed out (which i agreed partly) that properties emerge only if there is the perceiver (e.g. redness of something depends of the viewer). If to follow this tradition, of course we can say that affordances are the properties of the environment (because they emerge in the interaction of the subject with the environment). Some philosophical traditions would consider all the existing objects with their properties the result of our imagination and perception…some see primary and secondary properties. Quality refers to the inherent or distinctive characteristics or properties of a person, object, process or other thing. Anyway..it seems we were considering different property-meanings and there seems no contraversity in the whole understanding of the notion of affordances. You are currently browsing the Taming the spaces blog archives for March, 2007.